A couple of days ago I commented briefly on the view held by several anti-Israel Christians that God having a chosen people is a racist theology. My post was not aimed at all Covenantalists, some of whom, even though I may disagree with theologically, include friends and colleagues I respect deeply. Rather, my comment was aimed at the more polemical (and arguably less theological) variety of supercessionism which so hates Israel it childishly accuses fellow Christians who take a different view as somehow racist. This said, the concept of God choosing for Himself a peculiar people, as detailed in the Old Testament, merits further comment, so today I thought I'd elaborate just a tiny bit more on this notion of an ethnically distinct chosen people who were Old Testament Israel. According to Scripture, biblical Israel was indeed set apart as a distinctly Jewish nation. But inclusion within that nation was not solely dependent upon ethnicity. Do a bit of research and you’ll soon see how God loved and welcomed the alien into the house of Israel (Deut 10:18-19). Aliens were granted full rights and privileges, and strict instructions were laid down concerning their fair treatment (eg Lev 23:22, Num 35:15, Deut 10:19, 14:29, 24:17, 24:19-21, 26:13, 27:19, Ezek 22:7, and Jer 7:6). In fact, in God’s eyes there was to be no difference between the alien and Israelite (Lev 24:22, Num 15:14-16). So much for racism, then. The various references to the alien and how to treat them as set out in the Mosaic law demonstrates just how many non-Jews were in fact welcomed into Israel. But it is also vital to note the reciprocal element of this arrangement, namely, that the alien became, to all intents and purposes, a full member of the congregation of Israel, agreeing to abide by the terms and observances associated with God’s covenant with the people of Israel. For example, the alien was expected to observe certain religious and other laws (Ex 12:19, Lev 16:29, 17:12, 17:15, 18:26, 24:16, Num 19:10, Deut 26:11, 31:12, Ezek 47:23). Moreover, if he was to become a member of the congregation and participate in the Passover feast (a key aspect of being an Israelite), he was to be circumcised (Ex 12:48-9, Num 9:14). Thus, when Ruth declares to her mother-in-law Naomi that her God and people would also become Ruth's God and people, we witness an excellent OT illustration of the alien, previously separated from the commonwealth of Israel (Eph 2:11ff) now included within that assembly. This is a direct echo of the Gentile being grafted into Israel as described by the Apostle Paul in Romans 11:17-24. This inclusion of the Gentile within the congregation of Israel, which was based on reciprocity (covenantal observance) is what I meant when, the other day I stated OT Israel practiced an integrationist rather than a multicultural model. By "multicultural" here I mean the British liberal elite definition, encouraging ethnic and cultural ‘enclavination’ so favoured in the 1970s and and early 1980s (leading to ethnic and culture enclaves separated from the rest of Britain), rather than welcoming various cutural and ethnic groups to integrate into society as active participants and stakeholders. Clearly, then, the concept of a chosen people as presented in the Old Testament is far from racist. Yes, ethnicity represented an important dimension of Israelite nationhood. 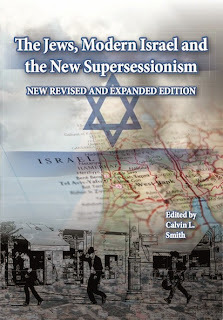 But retention of Jewishness aimed ensuring biblical Israel retained its distinct identity from the surrounding nations in no way prohibitednon-Jewish aliens from joining the congregation of Israel. Quite the opposite, in fact. They were welcome, provided they reciprocated by becoming full members of the congregation of Israel, ditching their old foreign gods to become full Israelites. Significantly, such aliens who became Israelites included several non-Jewiish women who were to become the direct ancestors of Yeshua HaMashiach, Jesus the Jewish Messiah (see Matthew’s genealogy). So biblical Israel was far from racist. But what about modern Israel? Some Christians such as Colin Chapman argue that a Jewish state is, by its very nature, racist. I propose to look at this in my next post on Israel and ethnicity in the next couple or three days. In the meantime, what do you think? Is the concept of a modern Jewish state inherently racist? Adapted from a post originally published on the King's Evangelical Divinity School blog. Great post. I am really enjoying this series of posts and look forward to the next installment.